Our cover story this time around is all about Kirby, the delightful pink puff! 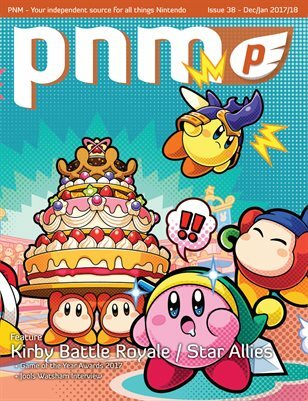 This marks the first time Kirby has been featured on a cover of Pure Nintendo Magazine and I say it’s about time. 2018 kicks off with the release of Kirby Battle Royale for the 3DS followed by Kirby Star Allies on the Nintendo Switch a couple months later. Jemma gives us all the info on both games and the exciting new features of each. We also have our Top Games of 2017 which was one of the best and brightest in video game history. Jools Watsham lets us know of some upcoming projects from Atooi and Katelyn tells us about the Kitsune in this issue’s Culture Connections. There are a lot of other amazing articles in this issue along with a ton of reviews. Hope your 2018 is off to a great start! Happy Gaming!